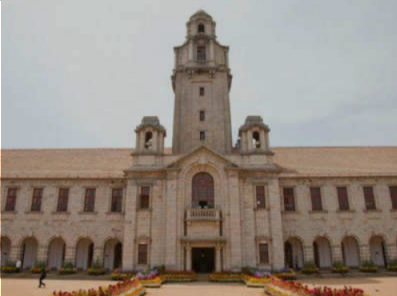 BENGALURU: The Indian Institute of Science (IISc), will be among the six premier institutes in the country to host a research park under the start-up initiative of the Centre, with the proposal also beingpresented in the union budget (2018-19). According to the budget, the Centre has earmarked a total of Rs 84.23crore for all six parks—five others will come up in different IITs—and they will help strengthen industry-academia collaboration promote start-up culture. TOI first reported about this initiative in 2016, and again broke the news when the first commitment from the Centre came in in 2017. The initiative, which hopes to result in more patents in the country will see more funding in the coming years, as IISc alone is estimated to get a total of at least Rs 70 crore. The funds, to be provided jointly by the ministry of human resource development (MHRD) and the department of science and technology (DST) will be used to expand its space for research. TOI earlier that the Centre has acceded to their expansion plans and offered complete financial assistance. “…The institute will be looking at a three-pronged approach in satisfying the funding conditions of the Centre. We want more established companies to set up their R&D centres within our campus. We will give more space to startup incubators and look at small and medium-scale enterprises to bring their entrepreneurial skills to IISc,” he had said. In November 2017, the IISc, which in 2016 put in place India’s first indigenous smart factory, also expanding the facility. The expansion is expected to help future incubations use the facility and aid new research. While the existing smart factory, which was seed funded The Boeing Company, is already armed with data exchange in manufacturing and the Internet of Things (IoT), the 108-year-old institute is being fundedby the ministry of heavy industry and public enterprise to expand it. Sources at IISc said funding for expansion is coming in through the institute’s Society for Innovation and Development, which already houses high-quality incubations and startups. “Given that the expansion is coming through SID, you will see its incubations make use of the facility as much as researchers will to develop new tools and products,” the professor had said.